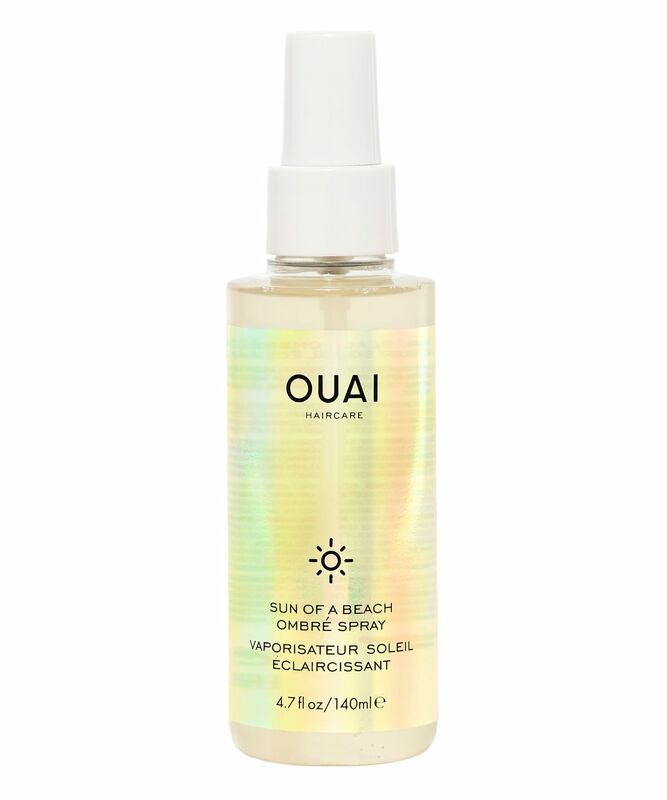 If you remember squeezing lemon juice into your hair or feel a sense of nostalgia at the words ‘Sun-In’, read on… Ouai’s (characteristically chic) sun-activated hair lightening spray lets you light up your locks and achieve the ultimate beachy ombré look the stylish way – sans mess or stress. 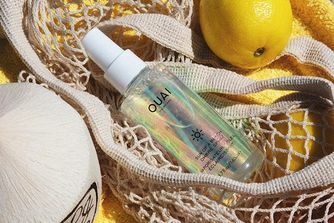 Made with activated lemon infused with coconut water and pineapple juice, the hydrating formula can brighten existing highlights or add a ‘touch of sunshine’ to natural, uncoloured hair. Another genie in a bottle from hair stylist extraordinaire, Jen Atkin, simply spray it on and just add sunshine. For all over lighter hair, mist onto clean, damp hair and comb through. For targeted highlighting, divide into sections, spray on select strands and comb down through that section. To activate, step into direct sunlight. Repeat daily (once a day at most) until desired color is achieved. So I bought this for my 2 week trip to the Caribbean. Perfect time to brush up on my natural highlights etc. With some help from this magical sounding product, I thought I couldn't go wrong. Things started going wrong before I even used it. Given that we are in the UK and sun isn't particularly frequent or strong (I live in Scotland so even less so), I would have thought it would be obvious that most people using this product would be taking it with them on holiday. I might just have had a bad bottle but it didn't travel well. It was a brand new bottle, no seals broken or anything. It leaked from the top all over my wash bag and somehow developed a rounded bottom so it no longer sat flat on any surface. I spent the holiday propping it precariously against walls for fear if I lay it on its side it would leak more. I used it all the time I was there. There was glorious strong sunshine every day. It made my hair greasy faster and felt kind of thick and unpleasant with the product but I have come back from holidays in Cornwall with more sunkissed highlights, no product needed. On the way home, it again leaked, although not so badly because I was forewarned and wrapped it more securely. The bulbous bottom also flattened out more or less (only explanation I can come up with it was something to do with pressure during the flight but not great for a product that is essentially designed for holidays abroad). I wanted to love it but nothing about it worked and I had to clean up my bag after journeys there and back which was not part of the holiday plan. Bought this to keep my highlights refreshed. I have black hair with dark brown highlights. Can see how it lightens up my highlights and turn my black hair into subtle chocolatey brown. The only downside is how sticky it is if you use it liberally. Even if u spritz a little bit, it has this sticky residue so you need to brush out your hair after spritzing it. Otherwise there’s gonna be a gloopy patch of hair. At least it does its job. Try to use it on day old hair instead of squeaky clean hair bcs you might regret turning your freshly cleaned hair sticky. Love this product and it really works. My hair is protected and more blonde! It works better with the sun but with a hair dryer it's okay. It really works! I'm a natural blonde looking to get blonder and OUAI did it. Wanting to cool down my highlights at my salon led me to leave with ash toned hair that was a little too dark for my liking. Washing obviously helped a lot but my hair seemed too blended and my usual very lightened ends matched the rest of my hair. 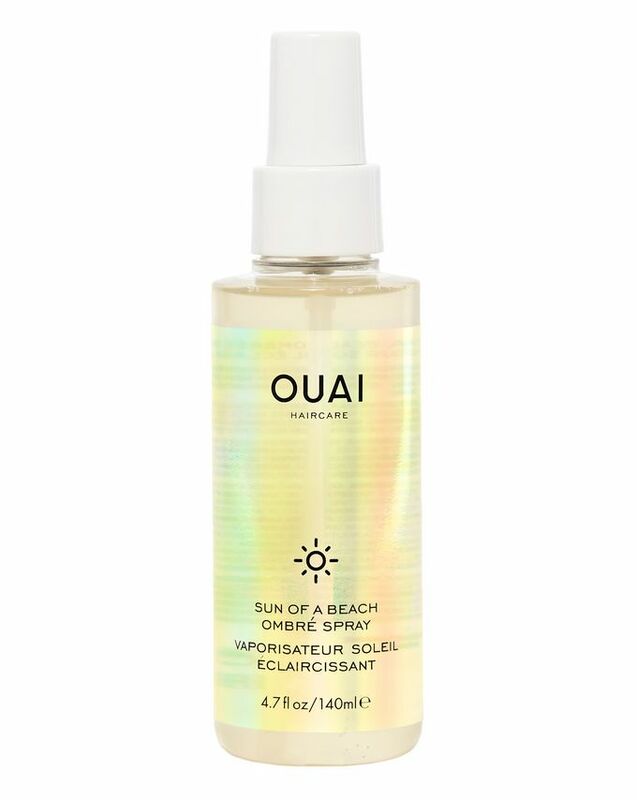 This lifted the toner completely out making my ends bright once again, fabulous but that’s not all, I expected this to be like usual hair lighters and leave a yucky feeling in my hair, smell bad and dry out my poor hair. Nope!!! It gives me lovely soft waves. Fantastic product that does it all, very very impressed!!! Amazing! my hair gets lighter. It smells so good and makes my hair look an feel so nice. Haven't tried it enough to say if my hair actually gets lighter, but my hair looks so good I will definitely buy again.